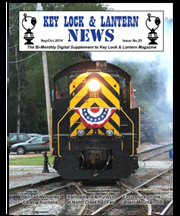 Adirondack Scenic Railroad, Gaithersburg Railroadiana Show, Walter G. Rich Collection, News from National Railroad Museum, O. Winston Link Museum, NRHS & more. 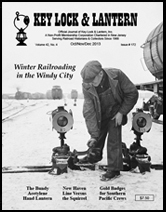 Railroad Preservation News, Want Ads & Railroad Event Calendar. 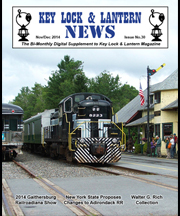 North Creek Rail Fair, Catskill Mountain Railroad, Railroad Memories Auction, News from Steamtown, the Railroad Museum of California & More. 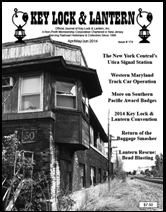 Railroad Preservation News, Want Ads & Railroad Event Calendar. 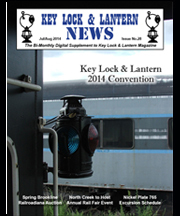 2014 KL&L Convention Report, Upcoming North Creek Rail Fair, Brookline Spring Railroadiana Auction, N&W 611 & Nickel Plate 765 News, New Amtrak Timetable, Railroad Preservation News, Want Ads & Railroad Event Calendar. 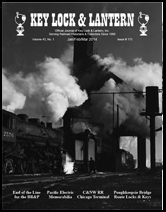 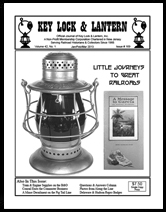 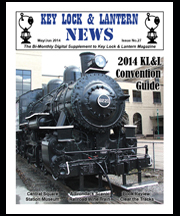 2014 KL&L Convention Guide: History of Railroads in Utica, NY, KL&L Convention Activities, Adirondack Scenic RR, Book Review: Clear the Tracks!, Central Square Station Museum, Maps of Utica, Utica Union Station 100th Anniversary, Want Ads & Railroad Event Calendar. 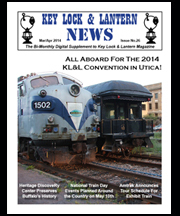 2014 Key Lock & Lantern Convention in Utica, Buffalo's Heritage Discovery Center, National Train Day, Amtrak Exhibit Train, Norfolk Southern Steam Schedule, Utica Union Station, NYC Chenango Branch Tour, N&W 611 Heads to Spencer, KL&L Annual Meeting Announcement, Want Ads & Railroad Event Calendar. 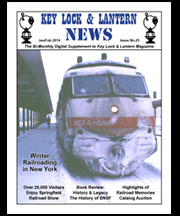 Winter Railroading in New York, Springfield Railroad Hobby Show, Railroad Memories Catalog Auction, Tennessee Valley Railroad Museum Excursions, KL&L Magazine Highlights, Engineer Retires After 45 years at the Throttle, Local KL&L Display, Amtrak Schedule Changes, Want Ads & Railroad Event Calendar.